The supplementary set has a real impact: a drive hammer in the supplementary set of Swiss manufacturer cuboro propels the marbles to unexpected heights - just like the joy of playing. A game of weight, energy, gravity and acceleration. 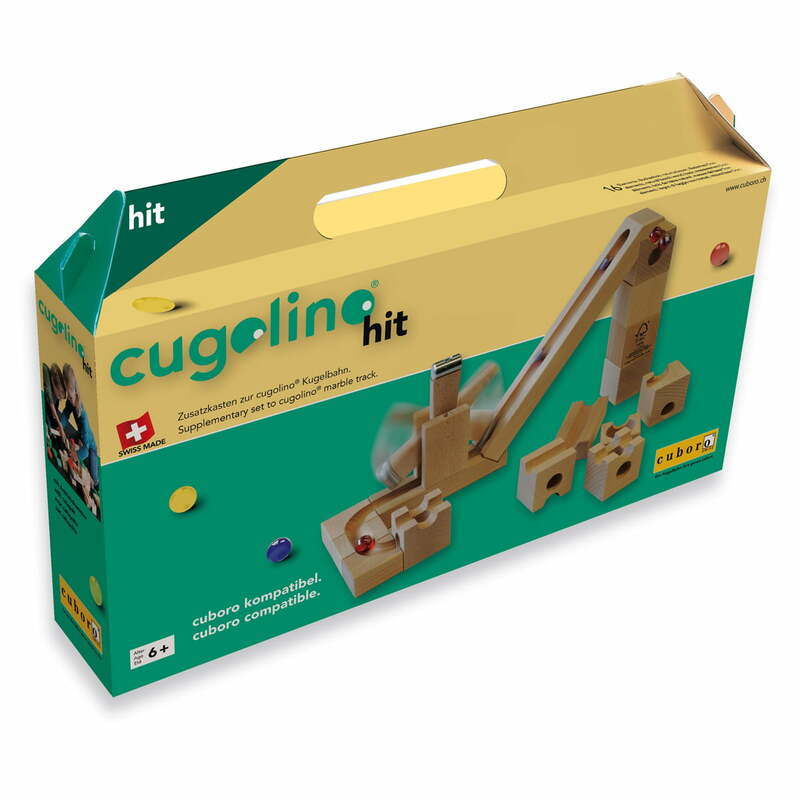 The included driving hammer – suitable for the cuboro and cugolino marble run systems – accelerates the marble upwards. The propelling device is adjusted manually and the marble itself triggers it. 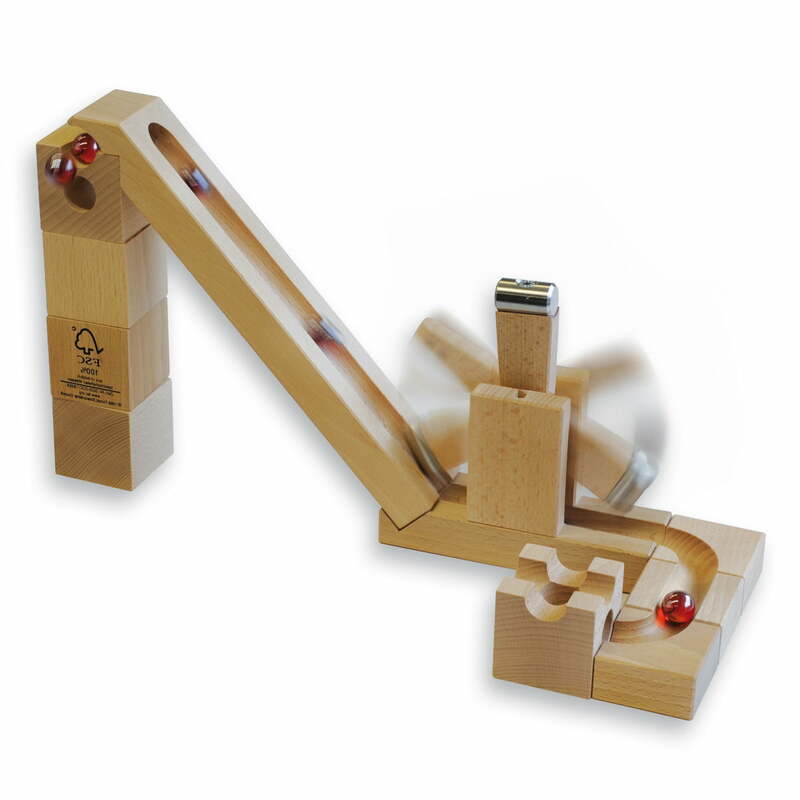 It is catapulted upwards up to four levels of cube modules and then speeds back down the marble run with its customary ease. This is how cuboro runs without end are possible. In the supplementary set cugolino hit there are 16 elements including the driving hammer made of beech wood and stainless steel, as well as six cuboro original marbles. The supplementary set cugolino hit is combinable with every other cuboro system – and it takes the system into a completely new direction: upwards! The cuboro elements are made under the "cuboro Swiss Quality" label out of Swiss beech wood from responsible and sustainable forestry. The processing has taken place in a highly specialised family carpentry firm in the same region for more than 20 years now. 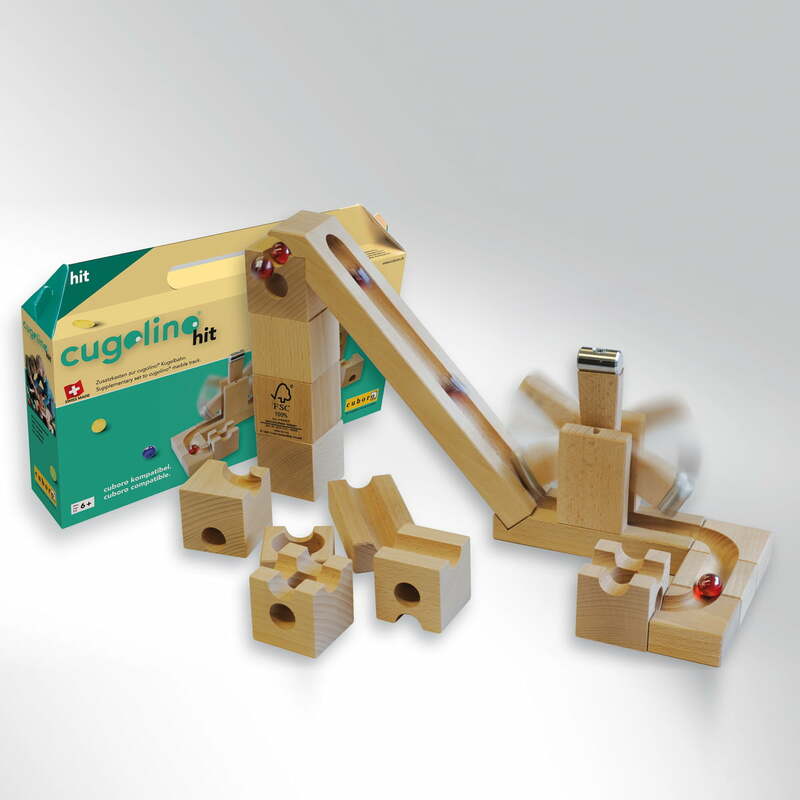 The high manufacturing quality of the natural cubes guarantee long-lasting fun. The video shows how the balls speed and conquer the new obstacles or slingshots. No matter in what way the path is assembled,there will be loads of fun for the children. 147 of 255 customers have found this review helpful. Very good design and manufacturing. Very well balanced hammer. 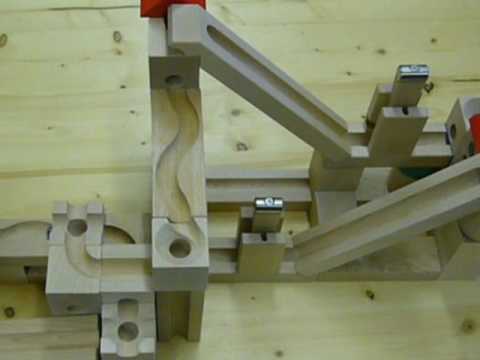 It is a real pleasure to use it in the 'cuboro' marble run and put to a test its precision. Enjoy!